Families, corporate groups and individuals are encouraged and welcome to volunteer. Groups and individuals of all ages and abilities are invited to volunteer. We are always looking for youth clubs, corporate, and service-oriented community groups to lend a hand before, during, and after our events. When you decide to volunteer, you become part of the MS movement--a collective of passionate individuals, moving together to create a world free of MS. Together we provide support, have fun, and make a difference in the lives of people living with MS. Together, we become a powerful force! 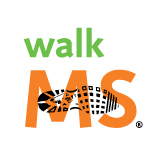 Time: site opens at 10:00 a.m.; walk begins at 11:00 a.m.
Join us for Walk MS: Lancaster on May 5, 2019. *Please note new location for this event! Parking is available in the park or additional parking is available at the mall. Please choose your preferred volunteer shift(s)/activities from the list below. Activities Include: Checking in volunteers, ensuring paperwork is turned in and volunteers receive a t-shirt and instructions for their volunteer shift. Activities include: Unloading and distributing supplies, setting up tents, tables, and chairs, hanging banners and signage, decorating tents and tables (heavy lifting required ?50lbs). Activities Include: Marking event route with signage to indicate the direction participants should follow. Often this task is completed in collaboration with a staff or committee member using a vehicle. Second shift is removal of signs. Activities Include: Serve as a liaison between staff and volunteers. Must be able to attend event from start to finish - support a leadership role, communication, and logistics. Activities include: Assist walkers and volunteers in signing the End MS Banner and filling "Why I Participate" bibs. Volunteers also provide pamphlets and brochures with information about MS and the MS Society. Activities include: Welcoming participants and directing them to the appropriate areas at the event site, answering questions as needed, ensuring registration lines are moving quickly. Activities include: Greeting and checking-in walk participants, collecting pledge envelopes and donations, providing general event information. (additional training may be required) (Background check required for volunteers handling donations). Activities include: Organizing supplies and shirts by size and type, handing out shirts to qualifying participants, keeping area tidy, providing excellent customer service. Activities include:Taking team photos at the start/finish, taking photos on the route, capturing candid moments, and action shots. Activities Include: EMT's, Nurses, Physicians, First Responders needed to be on hand to provide basic first aid to those at the event. Medical volunteers are typically placed at start/finish or rest stop. * Proof of certification required. Activities Include: Setting up/taking down the site, running hydration/fruit stations, serving food and beverages to participants, providing excellent customer service. (Occasional lifting may be required). Activities Include: Directing traffic and parking to participants as they enter the park. May assist with crossing at intersections or in areas where traffic flows. Activities include: Setting up and organizing food service area, handing out food to participants, cleaning up area and putting away supplies. *Basic and safe food preparation and handling is required and volunteers will be provided hand washing station. Activities Include: Cheering walkers as they begin and/or return from the walk route. It is a spirit squad meant to uplifting and show gratitude to participants. Great for groups or those who have accessibility issues. Activities include: Cleaning up the event site, taking down decorations, signage and banners, breaking down tents, tables, and chairs, organizing and loading supplies (heavy lifting required ?50lbs).